Alzheimer's is a form of dementia. It impacts intellectual abilities and memory, interfering with daily life. 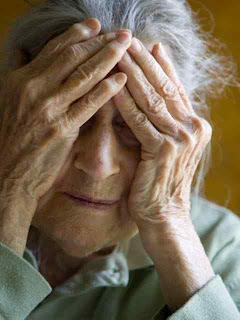 Alzheimer's is very common, making up 50%+ of the cases of those with dementia. It is a progressive disease. It can last several years. On average, those with Alzheimer’s live eight years after symptoms become noticeable. The survival range depends on age and other health conditions. It begins with mild symptoms of memory loss, but progresses to severe memory loss, leading to forgetting how to eat, how to talk, and the inability to respond to environment. 1. Problem solving difficulty- Memory loss associated with Alzheimer’s makes problem solving a challenge, so games that involve puzzles, riddles, and the like pose a far greater challenge then they once did. 2. Memory loss- Games that require short term memory, or that are played for a longer period of time are very difficult for those with Alzheimer’s. Memory loss makes it challenging to learn new games, and keep track of play. 3. Difficulty remembering rules- The best games are those that they learned in childhood or long ago, as well as those with simple rules. 4. Trouble with spatial relationships- Games that require motor skills and the use of spatial relationships can be very difficult. 5. Difficulty reading, judging distance, color, contrast, etc.- This eliminates a lot of games from contention. 6. Struggles with vocabulary- Not just using their mouth and tongue to form words, but those that suffer with Alzheimer’s often find it difficult to find the words for familiar objects and concepts, making communication more difficult. 7. Social withdrawal- Socially, those with Alzheimer’s are often more withdrawn because too many people, too much to remember, etc. can be overwhelming and confusing. Games that require more than two or three people can simply be too overwhelming. Game playing is a very effective way to connect with someone with Alzheimer’s, but games must be simple, offer a short playing time, not require the players to hold cards or keep track of a lot of details. It can be challenging to find games that will trigger personal interest and work to entertain and provide an enjoyable time for carers, relatives, friends, etc. The R.O.S. Therapy System provides a great solution. 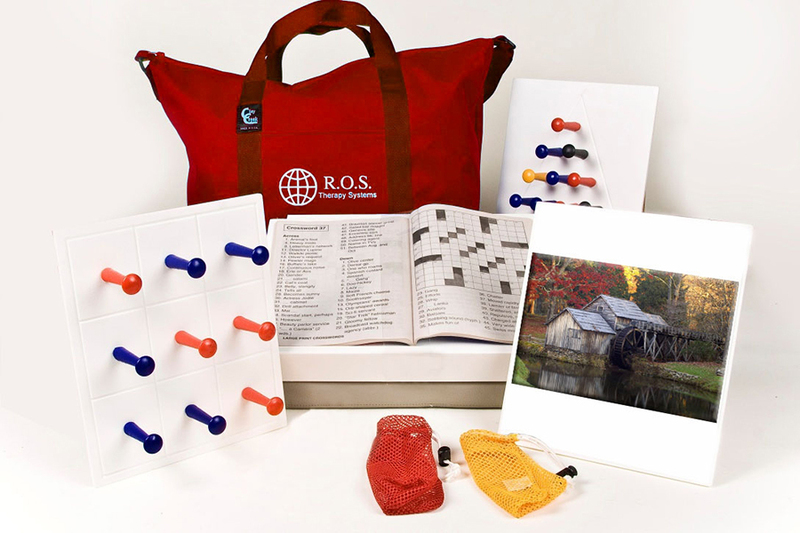 It is an innovative, effective gaming product that addresses the issues people with Alzheimer’s face, and overcomes those to offer moments of contact and enjoyment despite handicaps. The R.O.S. Therapy system allows activity board inserts to be switched in and out of the main console, providing individualized activity and variety. The console and pieces are easy to clean. The pegs are large and easy to maneuver. The system comes with games that can cue reminiscence, and offer a platform for socializing, decision making, creative expression, and fun.